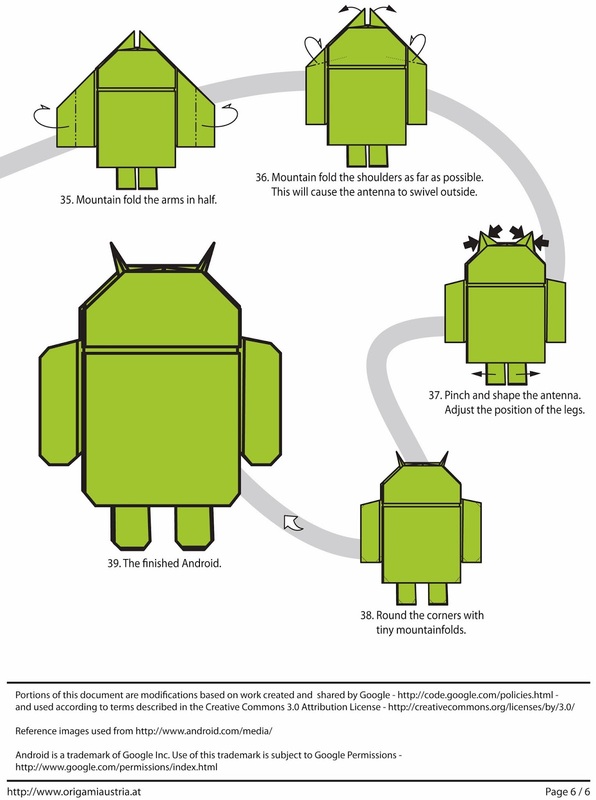 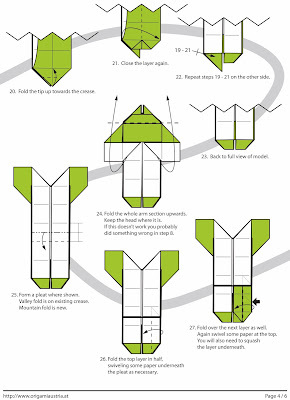 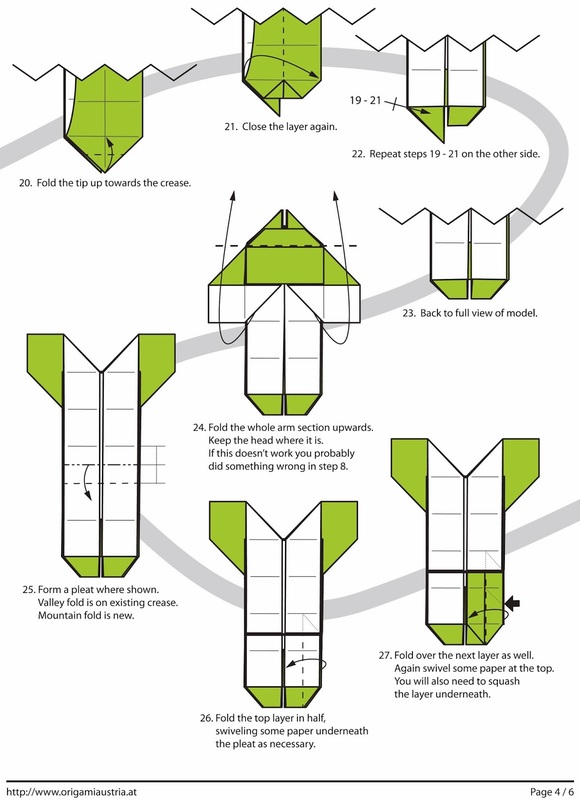 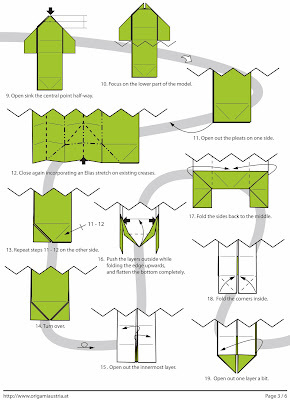 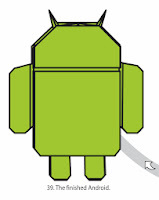 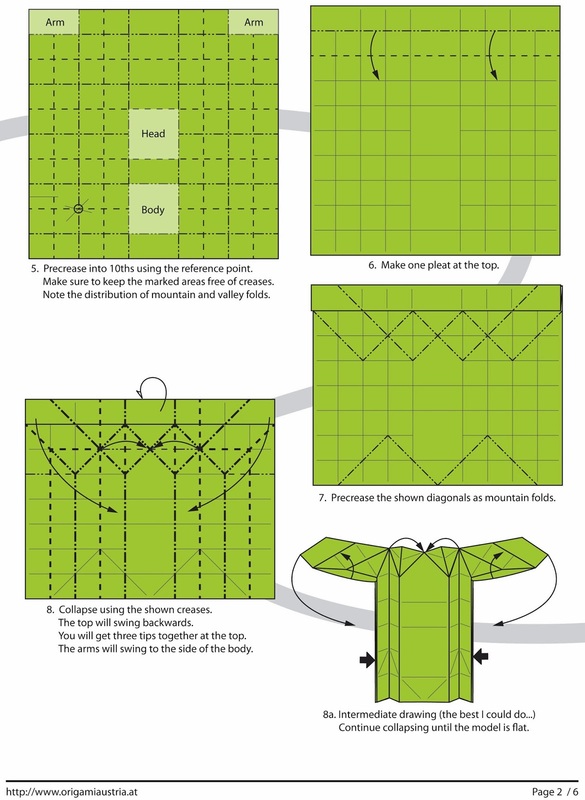 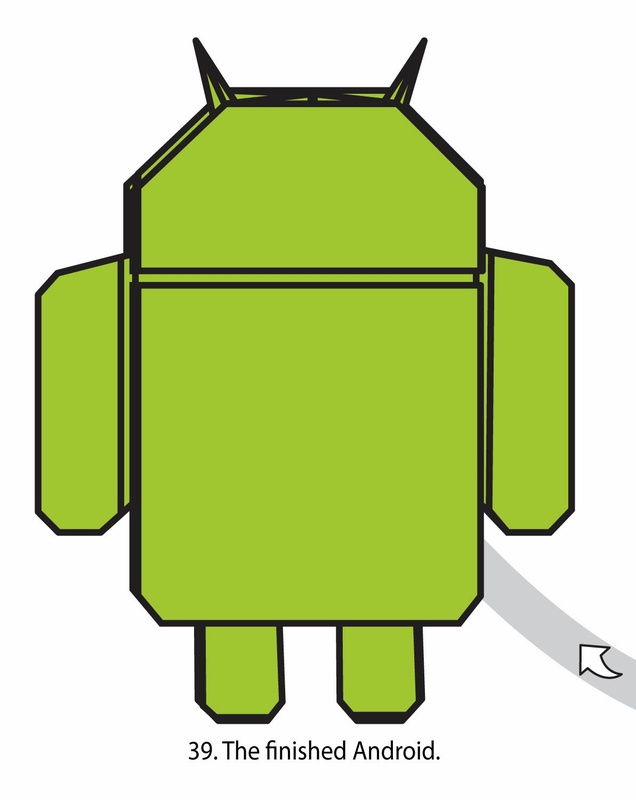 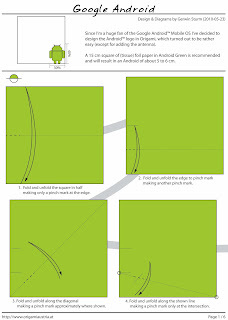 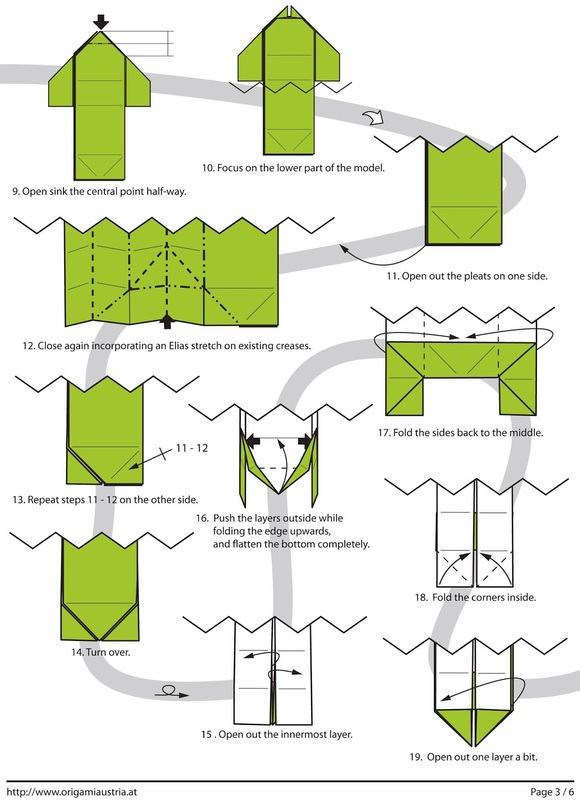 Android Origami is such a unique kind of origami. 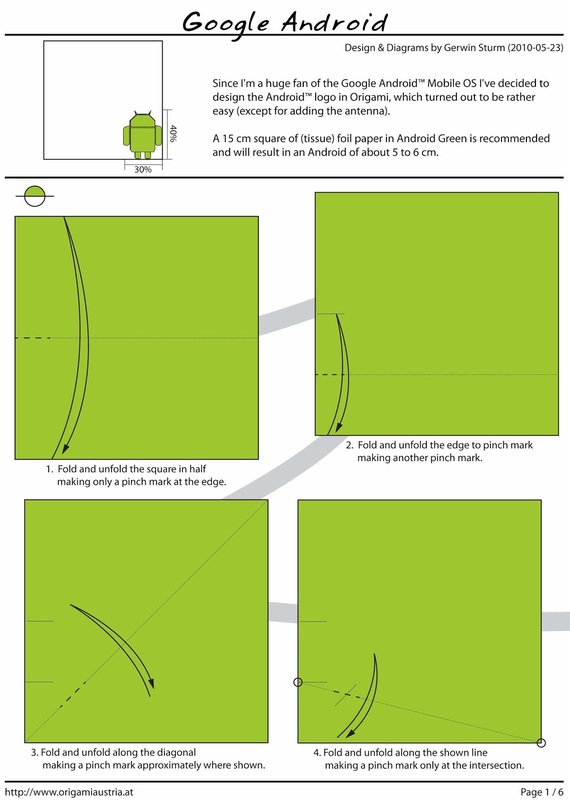 We use to fold familiar Origami but this origami I found is so unique, besides it is so timely as we know that android is dominating the market of smartphone today. 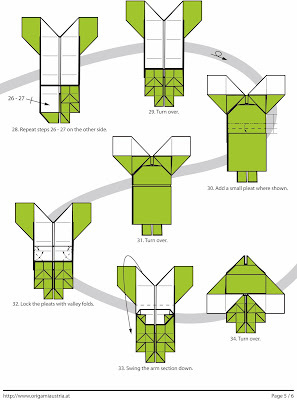 This origami is not folded by mine I just found on one forum and I want to share to you. It is divided into 6 diagrams. 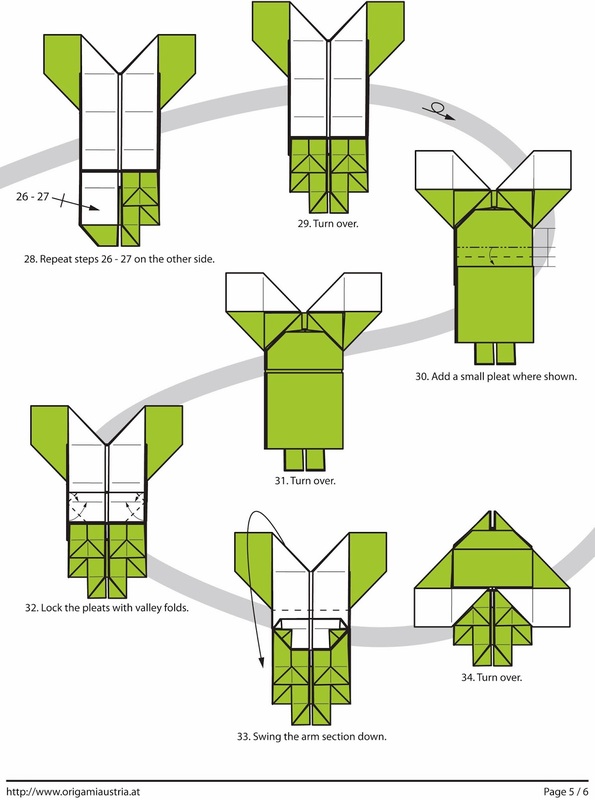 This origami is originally folded by Gerwin Sturm.